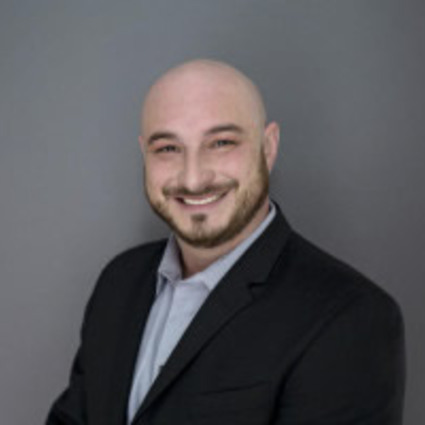 Greg DiGiorgio is a highly reviewed Arlington MA Realtor who is a dedicated, passionate, and market-savvy professional who puts his clients’ satisfaction before all else. His attention to detail, superior people skills, broad knowledge of the real estate industry as a whole, and his pure determination to indulge his clients with first class service sets him apart. In addition to Greg being an Accredited Buyers Representative-ABR, he understands the power of creative, well-organized and highly effective marketing and offers customized marketing plans that maximize property exposure to the most qualified buyers. He has appeared several times on Fox 25 News where he was interviewed on current market trends and conditions. A real estate transaction is really about managing people, their desires and their finances. It is an intricate and consequential negotiation. Greg understands that it is important to secure not only the most able buyer, but also to the one that is most likely to close the deal. When so much is at stake, Greg is the one you want to represent you. His fair yet aggressive negotiating style and protectiveness of his clients’ best interests and ultimately, their assets, has gained his respect with colleagues and clients alike. Greg also knows that every transaction represents the most important purchase or sale a person can make, and he takes every precaution to ensure that communication is impeccable with all parties involved from beginning to end. Whether it’s patiently guiding first time buyers through this exciting process or following through with clients’ needs long after the transaction is over, Greg’s warm, caring yet efficient business style will turn you into a client for life. Greg grew up in the Greater Boston area and has a deep appreciation for the North East way of life. He attended The University of Massachusetts at Dartmouth where he graduated with a Bachelor of Science degree in Marketing, with a concentration in Marketing Research. Greg’s professional background is rooted in the technology sales & marketing. As a result, he learned to adapt to many different people and situations quickly and competitively. The insight that he has gained from many years of involvement in bringing all components of a transaction together smoothly has granted him a unique perspective and approach to the real estate industry. His enthusiasm and tenacity has allowed him to emerge as one of Greater Boston’s finest Realtors, and one of the highest reviewed amongst Arlington MA Realtors! My goal is to provide the best experience possible to my clients while helping them achieve their real estate goals. My streamline systems and use of technology ensure a smooth ride along the way. Whether it’s a first-time buyer, a seller, or investor, I strive to gain lifelong clients and friends by providing them with a fun, relaxing, but yet educational experience throughout the entire process. Handle any other paperwork and/or tasks including meeting mortgage commitment deadlines to making sure the transaction closes on time. I keep an open door policy with all my clients even after the sale should they have any questions, or need help with any of their real estate needs. The closing of a real estate transaction is not the end, but just the beginning of a relationship.